How to Stop Your Period with Home Remedies? One of the most effective home remedies to make your period stop sooner is through the application of heat. When you apply heat on your abdominal area, your menstrual fluids will be able to leave your body at a faster rate. It also helps in relaxing any contracting uterine muscles, which in turn eases painful cramps. Place a hot water bottle or heating pad on your lower abdomen for 5 to 10 minutes. Repeat this 3 to 4 times daily. You can also soak a towel in warm water and place it on your lower abdomen after wringing out the excess water. Leave the warm towel in place until it cools and repeat as many times as you need to. It is also effective to take hot baths or showers 2 or 3 times a day during your period. A simple oil massage is another way to stop your period early. When you massage your abdominal muscles, it helps in relaxing uterine contractions and diverting blood away from your uterus. This in turn stops your period sooner. Massaging also has been said to be helpful in reducing bloating, cramps and other discomforts associated with your cycle. Mix 6 drops each of lavender oil and clary sage oil in 3 teaspoons of warm almond oil. Massage your abdominal and pelvic areas gently with the blend until absorbed into the skin. Repeat a few times every day until your period is over. Ginger has anti-inflammatory properties that can lower the production of prostaglandin. It is a hormone that is released during your period which causes the lining tissue to be expelled from the uterus. This later shortens your menstrual cycle. Crush ginger pieces and soak 2 tablespoons in 1 cup of hot water for about 5 minutes. After straining, add 1 tablespoon of honey. Drink this ginger-infused water while it is warm. Drink this liquid 2 or 3 times daily during your period to help stop it earlier than it usually does. The astringent properties in raspberry make it an excellent natural remedy for stopping period sooner. These properties work as a uterine stimulant, meaning that it stimulates uterine contractions. This, in turn, helps in improving menstrual flow out of the uterus. You can also get relief from painful menstrual cramps with this remedy. Additionally, raspberry contains a number of vitamins and minerals that are beneficial for the female body overall. Take 1 handful of raspberry leaves and boil in 2 cups of water. Allow it to simmer on low heat for 10 to 15 minutes. Let it cool and then strain it. Drink the raspberry tea 2 to 3 times on the first day of your period. Aspirin, Ibuprofen and Naproxen are NSAIDs, or non-steroidal anti-inflammatory drugs, that are effective in reducing the swelling of the uterine walls that occurs during the menstrual cycle. When this swelling is reduced, it helps in reducing heavy menstrual flow as well as any pain you experience during your period. These OTC drugs also help in reducing the overproduction of prostaglandins, a group of hormone-like lipid compounds that stimulate contractions of the uterine muscles. Take the NSAID of your choice 2 to 3 times a day. Make sure that you do not exceed the maximum dose that is indicated on the package. Note: It is important to consult your doctor before taking any NSAIDs to stop or shorten the duration of your period. They can have side effects. Keep in mind that NSAIDs have harmful effects on fertility and they can interfere with other drugs. 1. Exercising can help reduce blood flow or stop your period as it helps relax the uterine muscles. It also boosts blood circulation in your body, which in turn helps in shortening your period and reducing painful cramps. Jogging or walking briskly for 25 to 30 minutes, cycling and weight training are also good exercises during this time of the month. 2. Increasing your intake of Vitamin C can go a long way in helping you shorten the duration of your period. A Vitamin C-rich diet helps lower the level of progesterone in your body, which helps in breaking down the uterine lining faster and this, in turn, results in shorter menstrual cycles. 3. Drink a mixture of 2 teaspoons of raw, unfiltered apple cider vinegar and 1 cup of water 3 times a day during your menstrual cycle. 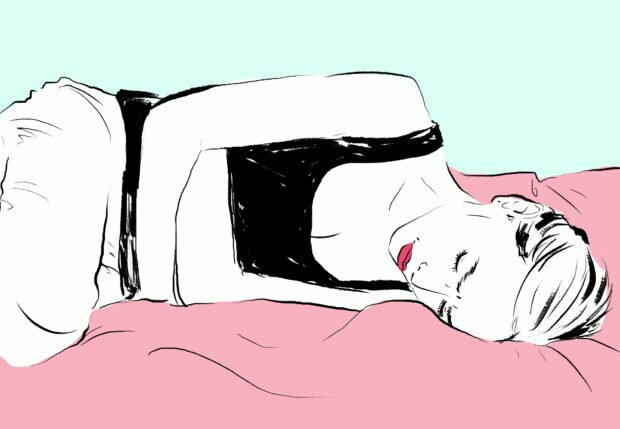 This is yet another effective way to shorten your period cycle. 4. Drinking plenty of water can help shorten your period as well as reduce cramps and bloating. You should also drink other healthy fluids like coconut water, green tea, etc. Increasing your water intake helps fluids in your body run through at a faster rate. Every woman loathes the day that they start their period. With the cramps and other discomforts kicking in, it can be the worst time of the month. If you feel this way, you are not alone. The good news is that home remedies are great for shortening the duration of your menstrual cycle or making them stop earlier than usual. You do not have to go out to buy expensive products for these remedies. It is likely that you already have the necessary ingredients available in your kitchen or bathroom cabinet. So, if you want to stop your period sooner, try out one of the home remedies mentioned above – they are sure to work!